Save Marinwood-Lucas Valley - our community, our future: ACTION ALERT: Please sign the petition to Clean Up the Toxic Waste at Marinwood Plaza! 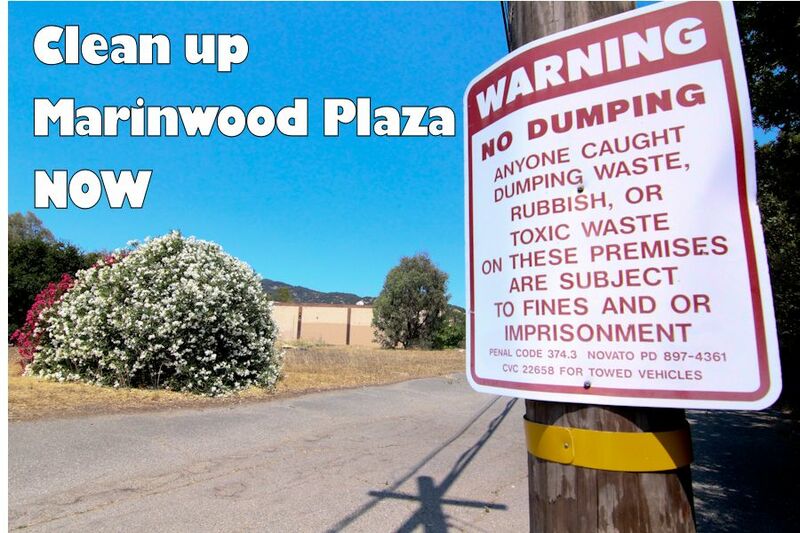 ACTION ALERT: Please sign the petition to Clean Up the Toxic Waste at Marinwood Plaza! The former Prosperity Cleaners site at 187 Marinwood Avenue San Rafael, CA is a toxic waste hotspot that has been festering since 1990 or earlier. We demand the immediate clean up of the toxic hotspot inside the cleaners and further testing to include neighboring residential areas and the Silveira Ranch. We demand an immediate clean up of this hazardous waste. Hundreds of people including pregnant women and small children are at risk. Note: A meeting is being held in Oakland at the Water Board Headquarters on Wed. Aug 12th . The toxic waste IS NOT CURRENTLY being treated and the Board needs to hear from the public. This carcinogenic waste potentially endangers the life of hundreds of residents. Immediate clean up of the source contamination and further testing is needed. The public health must be protected.